From a tiny flat on the Potomac waterfront, a young man stands looking dreamily out a floor-to-ceiling corner window. He is only part of a rendering now, but in four years his small home will be real. Apartments at The Wharf, a massive public-private development planned for DC's Southwest Waterfront, could be the city's first micro-units. The future building is at the corner of Maine Avenue SW and 9th Street SW. The planned units measure just 330 square feet - about 30 square meters - to 380 square feet and feature sweeping views of the water. The water is the focal point for this $1.5 billion 35-acre project, a public-private partnership between Hoffman-Madison Waterfront and the District of Columbia. Perkins Eastman of DC is the residential and retail architect for the building called "Parcel 2", which will house the micro-units. Rockwell Group is behind designs for the theater planned for the same building. 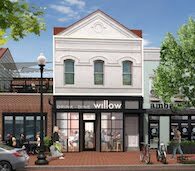 The micro-units could be the first in a new development for the District. Another developer planned some for Chinatown, but those were never built. In July, 60 percent of respondents to a survey by UrbanTurf said they would consider living in a 275 to 300 square foot apartment. 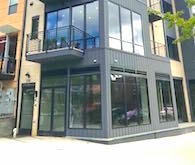 And with a trend in micro-unit housing sweeping the country thanks in part to a smaller-is-better way of viewing housing, it was only a matter of time before über-small apartments arrived in D.C. In July, New York City mayor Michael Bloomberg announced a design competition to design 300 square foot apartments. 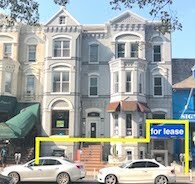 With the city adding about 1,100 residents per month and 70 percent of those new residents under the age of 35 (statistics that Office of Planning director Harriet Tregoning is fond of citing), DC's growth is creating a veritable perfect storm for micro-units. "Smaller units are flying off the shelf," said Matt Steenhoek, Associate Development Director with Hoffman-Madison Waterfront. He said a small team from Hoffman-Madison Waterfront took a look at trends, demographic forecasts, and a growing "less is more" aesthetic. The decision to put micro-units in Parcel 2 made sense, he said. The building will have 500 residential units, 40 percent of which will be studio apartments, though not all in the 300 square foot range. According to Steenhoek, developers took a look at demand forecasts for the next 20 years, as well as demographic trends: those point to smaller household sizes and people staying single longer. "Some of the housing that has been historically built will be somewhat obsolete," Steenhoek said. "We were looking at all these things and having this conversations in a small group and saying what we can we do and how can we be a market leader in that market for the District." According to developers, the planned micro-units will feature built-in furniture and cabinetry, small appliances and wall-beds. "The idea is that someone could move in with one suitcase," Steenhoek told DCMud. Data from the OP shows D.C.'s new, young residents aren't bringing much furniture - or cars - creating a niche for furnished apartments. All units will feature large windows and some will have small French balconies, features designed to open up the spaces and make them feel larger. Amenities are key to The Wharf's micro-unit concept - a concept that sees micro-units as launch pads for engagement with walkable, 24-hour urban offerings and symbols of freedom from suburban commutes. Developers are betting micro-units will help help achieve that vision - a vision focused on the urban and social life outside right one's doors. "In that sort of paradigm you can live in a very efficient space because you are not spending every hour in there - you are out in your environment," said Steenhoek. Parcel 2 plans call for a rooftop terrace and pool, as well as a cultural performing arts center with a 6,000-person capacity. A co-generation plant is planned to power the building. Affordable and workforce housing will be mixed throughout market-rate units and offered in all unit sizes, including for micro-units. Plans for the larger development, The Wharf, call for 3.2 million square feet of development, including offices, apartments, and a four-star InterContinental Hotel, four piers, and a three-acre park. Parcel 2, as well as the larger Phase One, Stage Two development plan for The Wharf, have already received design concept approval from the U.S. Commission of Fine Arts. 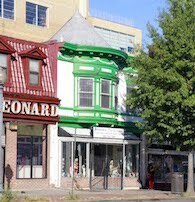 After five hearings before the DC Zoning Commission in July, the plans should get a preliminary decision from the Commission by the end of October. 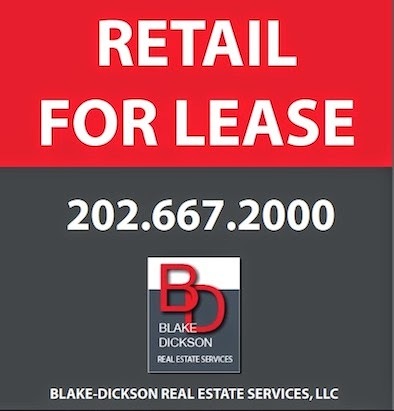 Developers expect to break ground in 2013. The answer to the question of what life will be like in a D.C. micro unit will have to wait for a while: they won't be delivered until late 2016 or early 2017. Does anyone have a link/know if the Stage 2 PUD, dated August 21, 2012 is available online? the whole premise of this article is off. 330-380 square foot apartments are not micro-units. they exist all over the city. And my experience is that the rents (for market rate) for small studios in the ~300 square foot range are, at most, a couple of hundred less than the more typical 500 square foot studios... Meaning still much more expensive (typically) than splitting a small two bedroom apartment. I'd like to see some of these as condos as an alternative to paying high rent and the opportunity to buy in a city where new studios typically start at $299,000. 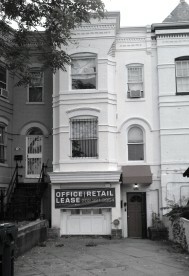 I spent three years in an apartment that size in the basement of a rowhouse in Dupont Circle after graduating college, and loved every minute of it. The trick is that you need a community around you that offers plenty of diversions outside your front door, which at the time, Dupont had in spades: bars, coffeehouses, bookstores, movie theaters. That's the greatest challenge with SW--the current lack of those amenities. Re: SW's lack of amenities. It's true that, compared with a Dupont, SW is lacking amenities. But how far is it really to get to a neighborhood that has them? Cap Hill, Penn Quarter, downtown...none of those are particularly far away. 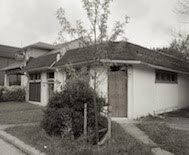 That's one of the things that I think makes SW appealing as a neighborhood: in addition to its promise as a rich, amenity-filled neighborhood in its own right, it's very close to a number of entrenched, enjoyable areas. Glad to see that DCMud didn't repeat what I assume is an error in the UrbanTurf posting: that the micro-units could be as small as 220 sf, by law. In fact, the relevant law (the Building Code) specifies 220 sf minimum for the "living room" of an "efficiency dwelling unit," and requires separate bathroom and closet. The minimum possible under that scenario is about 270 sf, or a little more for a building in which accessibility standards apply (such as all new construction). Thus, the 300-350 range cited in this article is plausible code-wise. Whether developers and marketers are hearing the evidence they want to believe (higher profits via greater return per square foot with micro-units) and ignoring counter-evidence (as a rule, efficiencies are hard to sell) is another question. The idea that these micro-units are being marketed as the new "in" thing that people want is ridiculous. Less for more? Makes sense only if you're a developer that wants to increase profit at the expense of compromising quality of residential life. I don't think that generously sized apartments will ever become obsolete as long as there are people who refuse to live like rats in little boxes. Not to dump on this project. But, I totally agree with the Dupont comparison. I'm one of the "car free" urbanites the project is targeting. I would absolutely consider living in a micro-unit. But, the location would have to be right. I would only really consider Dupont/Logan, and then West End/Foggy Bottom (which could use the shot of life), Gallery Place/Mt Vernon Triangle. This neighborhood won't have enough amenities in the foreseeable future to make it a place you would never want to leave. Yeah, distance wise this area is close to Penn quarter and Cap Hill. But, by pub transit getting to these areas on the weekend would take 20-40 min door to door (to say nothing of (Dupont/Adams Morgan/Georgetown/H Street). Not the heart of it all urbanism I would be willing to live in something like this for. If the lack of amenities is your argument, I note that this project is not just housing, but mixed use. There will be several entertainment venues, restaurants, retail, marinas, docs, and a number of other amenities. I'm not selling it, but that should be noted. Its not Dupont Circle, but there will be a neighborhood there. The bigger potential detriment will be the government office bunkers that surround it - that may be soon addressed, but that's not a given. The artice didn't even gloss over the primary driver of why micro-units are palpable (not actually desirable) for young renters.......... They can't afford anything bigger! With 1 BR's @ $2k and Studio's at $1400-$1700,if not more expensive, This town has been seeing housing prices (rental and owned) rise waaaaay higher than comparable salaries. Micro-units aren't wanted by anyone, people just aren't able to get their hands on anything else unless they want LOTS of roommates. I've seen perfectly livable hotel rooms, with kitchen and sitting area, that were in the 300-400 square foot range. One big advantage for hotel rooms is that they order furniture sized to fit the room -- most American furniture (e.g., overstuffed sofas) is larger than necessary. By the time these open, there will be many more amenities also available on site and hopefully throughout the near SW/SE neighborhood. just curious -- in unit laundry? That's a big selling point for condos, even where there's little demand for parking. If 300 sqft is too small for in unit WB, they'd be smart to make the communal facility by floor rather than basement. qUOTE: I'd like to see some of these as condos as an alternative to paying high rent and the opportunity to buy in a city where new studios typically start at $299,000. In that neighborhood, Condos start at $170,000 in Potomac Park Tower. "Yeah, distance wise this area is close to Penn quarter and Cap Hill. 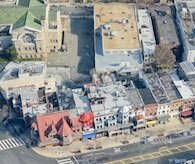 But, by pub transit getting to these areas on the weekend would take 20-40 min door to door (to say nothing of (Dupont/Adams Morgan/Georgetown/H Street)." I think a significant portion of the people that would be interested in a micro-unit would prefer walking to being shuttled around on a bus or train. I used to live in SW and walked most places I needed to go. Barracks Row, Eastern Market, the National Mall, and Penn Quarter were obviously within walking distance. The Yards, Wharf, and Near Southwest development had not started yet, but the amenities in those places will all be very close too, of course. Metro Center, Chinatown, and NE Capitol Hill are a bit further away but still well within reason to walk to. It would be silly to take public transit to any of the abovementioned places if you're capable of walking, so your estimate of how long it would take to get there via public transit is somewhat meaningless even if it weren't exaggerated. Furthermore, by the time a project like this comes to fruition there will be plenty to do in the immediate neighborhood. Meanwhile, Dupont is experiencing a decline in amenities, mostly due to high rents driving out businesses, a trend that I think will continue. To think Dupont could better support something like this in the future would be short-sighted and a costly mistake. SW Waterfront has been waiting for amenities and a vibe since urban renewal in the 70's. What this is is selling dorm rooms to the recent college graduates who are turning the city into an over-age campus. Fine, but there's no need to promise what has maybe perhaps a chance of beating the historical record of isolation created by the Mall and South Capitol Street. Eastern Market is not a short stroll. It's doable, but you better love to walk. SW to Eastern Market is a hike! Not to mention it would take forever ESPECIALLY if you lived against the water in these micro units. It's sad that so many able-bodied people are unwilling to walk more than half a mile! Your grandparents would surely not have considered it "a hike"! It's sad that anything that involves more than half a mile of walking is considered "a hike"! Our grandparents would be shaking their heads at all the able-bodied people that can't get anywhere without vehicular transit. I used to live by the waterfront and walked to my job at 12th and M Street SE, as well as Eastern Market and Penn Quarter on the weekends. It's a pleasant area to stroll around and it really doesn't take that long to get to any of these places on foot. So unless you're vehemently opposed to exercise, why not walk?